Colton, Finn, and Parker are the first line of defense to handle any Residential or Large-Loss Disaster in the San Gabriel Valley or LA Basin. 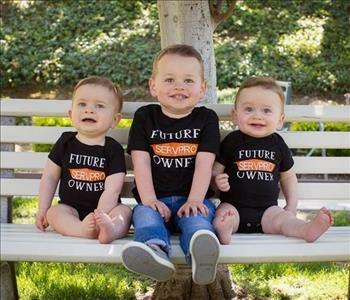 Joe and Dani McCann are owners and operators of SERVPRO of Glendora/San Dimas & Irwindale/Baldwin Park and their three boys help provide the assurance and motivation our customers will receive a professional and timely response when restoration services are needed. 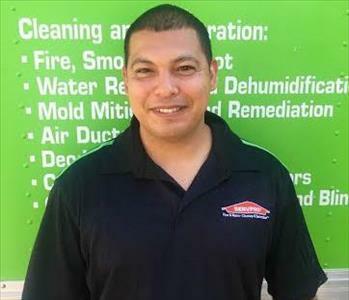 Scott is a Production Technician at SERVPRO of Glendora/San Dimas. 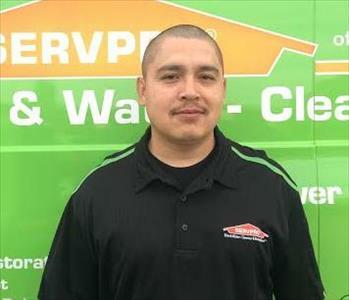 Rene is a Production Technician at SERVPRO of Glendora/San Dimas. 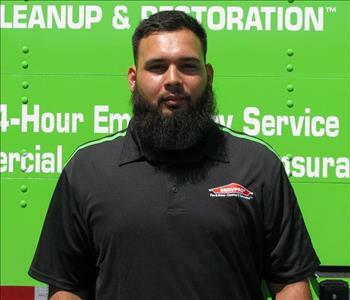 Robert has been working as a SERVPRO Restoration Technician for 1.5 years. He enjoys helping customers regain their sense of control when the pressure of experiencing water or fire damage to their home and belongings is affecting them. Robert is a husband and father of two children, enjoys sports, and enjoys working in the restoration industry. Harriet Cotterman is the Office Manager and Accountant at SERVPRO of Glendora/San Dimas for the past 9 years (since January 2008). She enjoys working in her yard, shopping, painting, flower arranging and vacations. Harriet is also a big fan of classic movies. 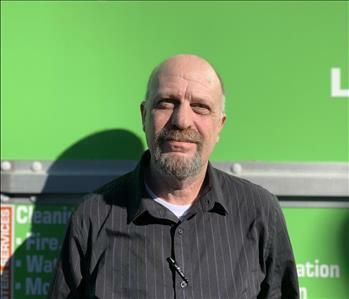 Doug Beach is the Sales Manager at SERVPRO of Glendora/San DImas. He has been working with SERVPRO for two years. When Doug isn't busy working you can find him traveling, working on home improvements,and playing with remote control airplanes. 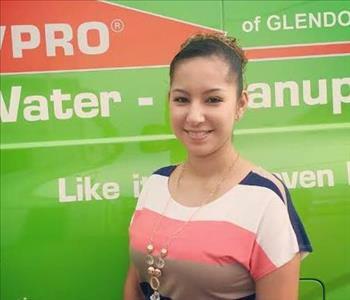 Marlene Velasquez is the Administrative Assistant at SERVPRO of GLendora/ San Dimas. 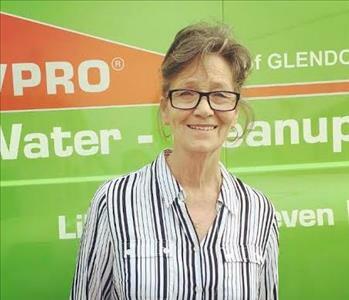 She has been working with SERVPRO since February 2016. When Marlene isn't working, you can find her spending time with her son and attending his tae-kwon do classes. Marlene spends time volunteering at her son's school and assists with his homework assignments as much as she can. 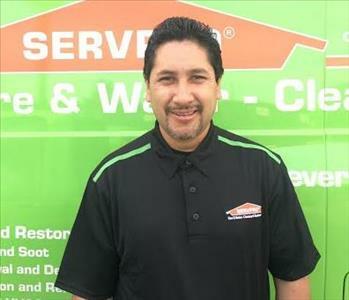 Lorenzo Leyva is the Sales and Marketing Representative at SERVPRO of Glendora / San Dimas. He has a few years of sales experience, he's an expert in social media marketing and graduated from the University of La Verne. 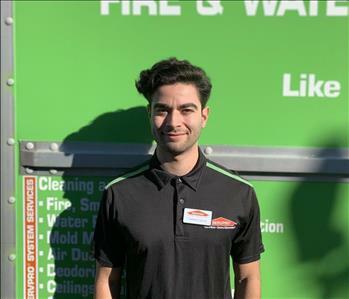 David is our Reconstruction Manager here at SERVPRO Glendora / San Dimas. He has had previous experience in the reconstruction industry and is bringing his years of experience to our franchise so we can better service our customers when a reconstruction project comes our way. Leslie is our part time sales and marketing representative. She is currently a student at Cal Poly Pomona studying marketing. She has a wonderful personality and a passion for networking. This will greatly serve her when approaching and building new relationships with commercial property managers!